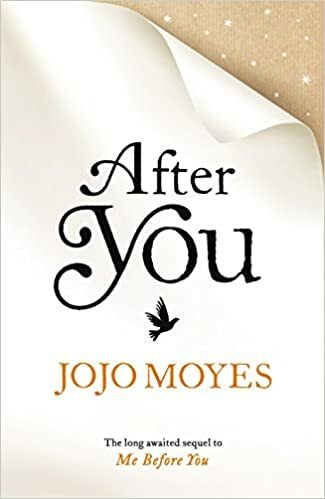 Having recently read ‘Me Before You’, it was only natural to want to know what had happened to Louisa, the main character, so I enjoyed ‘After You’ (JoJo Moyes) as an easy-to-read but satisfying ‘conclusion’ to the first book. I was just thinking that the story would work well as a trilogy – and then discovered that there will, in fact, be a third book coming out in the spring! Yay! 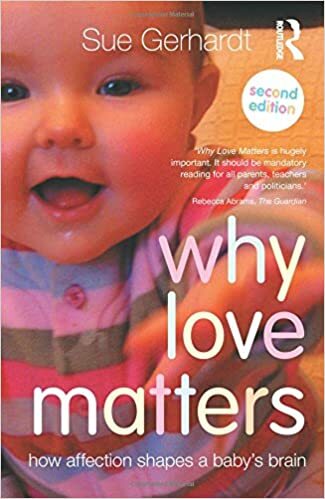 I’ve not yet finished, but am thoroughly enjoying, ‘Why Love Matters’ (Sue Gerhardt), something I’ve been wanting to read in full since coming across it on our adoption reading list two years ago. 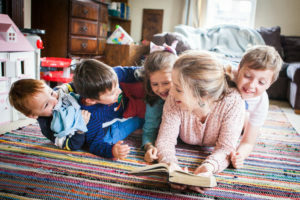 It’s about the vital role that early love and nurture play in the development of a child’s brain, helping it to regulate emotions, retain a normal level of cortisol (stress hormone), and all sorts of other interesting things. Gerhardt shows how a baby who does not have its emotional needs met, and/or experiences separation from its primary caregiver, is much more susceptible to poor mental health and even physical health in adulthood, amongst other undesirable states. Now I am NOT a scientist, but Gerhardt has condensed a 50-page bibliography of current psychological research about the brain into a novel-sized book that even I can understand. Brilliant and thoroughly recommended for anyone, like me, who has a passing interest in psychology but not enough to do a whole degree in it! Oh, and I was massively excited to be part of a new book club launch in my area! We’re kicking off in January, and you’ll be the first to know what we’re delving into! For the first time, I got to experience my friend’s bistro in the evening. The daytime menu at Bistro Guy is what you’d expect from a decent, modern-British restaurant – local organic platters, decent home-cooked burgers, soups and salads – and we’ve been several times. But the evening is totally different, and I highly recommend it for any Yorkie who hasn’t yet been. Guy provides a tantalising menu of ‘small plates’, all with a Japanese-Western fusion, and you simply order as much as you feel you can eat. Which, in my case, would probably be all of them – except for my bank balance, and the fact that we were eating before a show so were somewhat time-limited. I’d seen the menu before, but the reality was even better. I started with Karaage chicken, Yuzu dressed fine beans and a wasabi emulsion – delicious flavours and beautifully tender – but it was so yummy that I’d necked the lot before I thought of taking any photos. I absolutely loved the smoke-filled bell-jar – and the aroma when it was lifted off was absolute heaven. The duck was beautifully cooked and the flavours matched perfectly. Elsewhere, in what was probably my most stressful week of the year, our Suzuki teacher (and my boss) made me this amazing cake. Wasn’t that kind? And the kids (well, the younger three – the oldest has sadly opted out this year) helped to make our Christmas pud. And yes, we made it on Stir-Up Sunday! It was a teeny bit stressful, rashly offering to step in to accompany a friend’s school choir in the middle of town at short notice this month – but, once I’d put in the practice, I absolutely LOVED being able to justifiably play Christmas music mid-November. Did I mention I LOVE Christmas music?? My Dad is a big G&S fan, so I invited him and Mum up here to see Patience. It was pretty good (for a not-so-fan), and I even managed to stay awake through it all – something not achieved by the other not-so-fan in the party. Spotting one of Mister’s teaching assistants in the chorus was a particular highlight. Hooray for managing another blog post this month besides these monotonous run-downs. Turns out that Five Ways my Toddlers are Different from Yours hit a chord with people, and within days it had become one of the most-read posts on this blog EVER (that’s over-five-years Ever). I also introduced my #randomadvent blog posts, and would be thrilled if you wanted to pootle along with me during Advent. The easiest way is to sign up to receive them directly into your inbox – you should find the appropriate box in the right-hand column of this blog. * I’ve made an effort with Twitter. I’m @DesertMumBlog if you’re interested to follow me. Sometimes I say something good and no one notices. Other times, I say something predictable and it gets lots of likes and retweets. Twitter is a strange place. * I attended Adoption UK’s Annual Conference – it was my first one, and it was amazing! This year’s theme was ‘Attachment and Trauma in the Classroom’ and so much of it was helpful to work through, both as a parent, and as a governor, seeking to make a positive change within our school community. Some of the speakers had really interesting experiences, like the headteacher who runs his school very differently since he’s become an adoptive parent, or the mum who started her own school because her son wasn’t catered for in the mainstream. * We had a Baker Day (anyone else still call them that?) so I took the kiddoes to William’s Den – highly worth a visit if you’re local. Brilliant for toddlers through to older primary kids – like soft play, only hard. * My wallet was stolen. I don’t actually mind, because the story’s a good one, and it’s always nice to build up one’s repertoire of dinner-party-worthy anecdotes (maybe I’ll share it on here one day). People were all like, “Oh what a pain, you have to cancel all your cards” – but I’m ashamed to say I had only one bank card and approximately five gazillion store loyalty cards for every single shop within a 50-mile circumference of my home. I’m a SUCKER for anyone offering me a paltry discount in return for a large chunk of my patronage. * We got back into doing some interactive Bible stories over breakfast. It’s been a surprisingly easy habit to fall into, and the younger three kids love them. I use Play through the Bible, sadly no longer available, so if you’re interested, you’ll have to borrow a copy 😉 I feel we’ve cracked the habit in time for starting some Christmas stories this weekend. * The younger boys (and I!) were very excited by this rainbow! * We were then very excited by the snow! NOW, Desert readers, help me out with something. After each blog post, I am indebted to all the wonderful recommendations you come up with – most recently, for a new ironing board cover (still in progress…). So, when the temperature suddenly dropped by 20 degrees last week, my face very quickly started to resemble blotchy red sandpaper. Any great recommendations of a decent facial moisturiser which protects against the cold? We live in the North, you know. * Last but very much not least…it’s our school Christmas Fair tomorrow, so I’ve been doing lots of bits for that. It’ll probably get a mention in #randomadvent, but for now let me just tell you what a total JOY it is to compare how far our school has come since last year’s Christmas fair. We now have a proper PTA, a committee, and a good bunch of enthusiastic and reliable parents to help out. I’m expecting great things! And, oh gosh, it’s past midnight, which means that the Fair is today. Best get some sleep. Your WALLET?! Oh no – sending virtual hugs and chocolate. I must admit I’m looking forward to hearing the related good story though! Lovely post, as always. Thank you! It seems Play Through the Bible is available on Book Depository: https://www.bookdepository.com/Play-Through-Bible-Alice-Buckley/9781909559196 I also have it! That’s brilliant! Thank you SO much for finding – I’ll try and remember to blog this link next month as I think it’s just such a useful resource, with very little set-up. We’re using Bake Through the Bible at Christmas this year.Have you heard of that one? Same family of books. PS I just re-read your earlier post you linked to on Play Through the Bible and realised that post is why I bought the book! Ha!